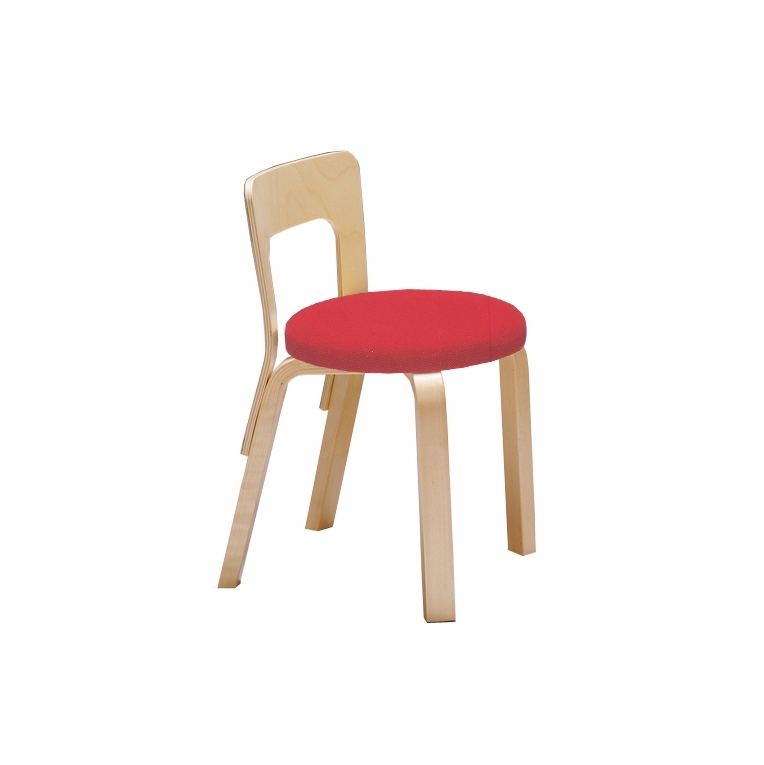 Re-sized for smaller bodies, the Aalto 65 dining chair shrinks into its petit counterpart, Chair N65, for children. Its sleek shape and modern design has made this chair a classic piece of furniture that never goes out of style. A solid birch core with birch laminate and face material give this simply constructed chair extra durability and function. Providing a bit of formality with its high back design, the sturdy construction was made to withstand constant use. Made in Finland by Artek, this chair is available in several different finish and upholstery options. Simple assembly required.Please review our Shipping Information page before ordering.